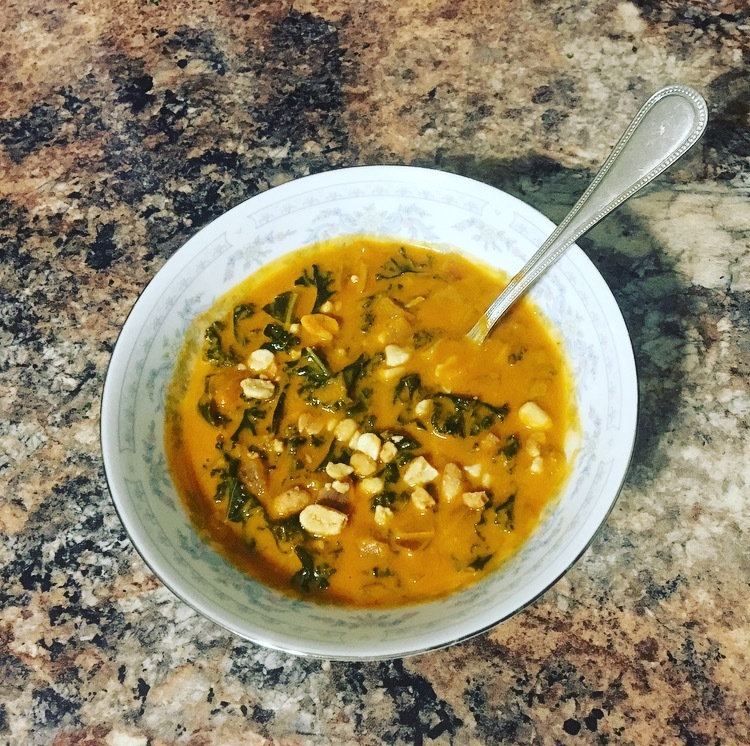 This entry was posted in Drunk Recipe and tagged blog, humour, kale, peanut, recipe, West African by Sophia Ball. Bookmark the permalink. The thing about mincing your own garlic is that your hand smells like garlic for the rest of your life. Right?! Unfortunately, when I was 7 my mom made me mince garlic for the first time and from that day forward it was all over for me. Everyone told me I might as well become a professional garlic mincer, but I didn’t want that one moment of bad fortune to define me – so I rallied against my fate in an epic battle… and bought pre-minced garlic. The rest is history. That I have already minced my own garlic is the main reason I have never bought pre-minced. Already spoiled, may as well just go with it. But you give me hope. hmmm. vegetarian. I should pass this recipe/post to frenz hoo’ve beecumb V’s, of recent ! Yes! It’s actually great and really easy. Plus, you can mod it in a million different ways. Also, pretty easy to add chicken if one is so inclined.